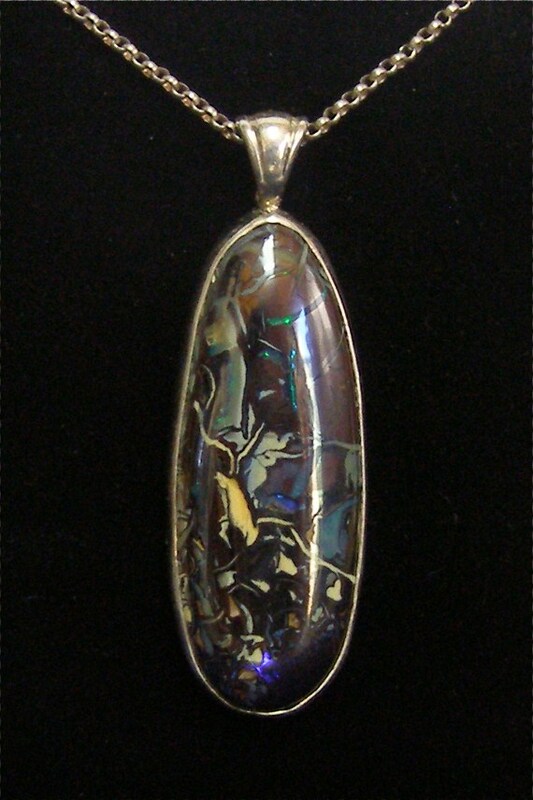 Beautiful Handmade Australian Boulder Opal Pendant! Beautiful true-to-color Australian Boulder Opal. Some of the Green and blues appear to be insets because of their delicate brightness! Chain not included. Free Shipping. We’re excited! This is our first post to our new blog. Our idea is to feature one of our items at a 20% discount from inventory throughout the week. Every item in our inventory is handmade, so once it’s sold it’s no longer available but can be special ordered. That’s it! No gimmicks, no tricks. If you like it you can buy it. This entry was posted in Uncategorized and tagged Australian Boulder Opal, Boulder Opal, China, Opal, Pendant, Robert Redmond, Santa Cruz, shopping, style, United States, veronique of santa cruz. Bookmark the permalink.